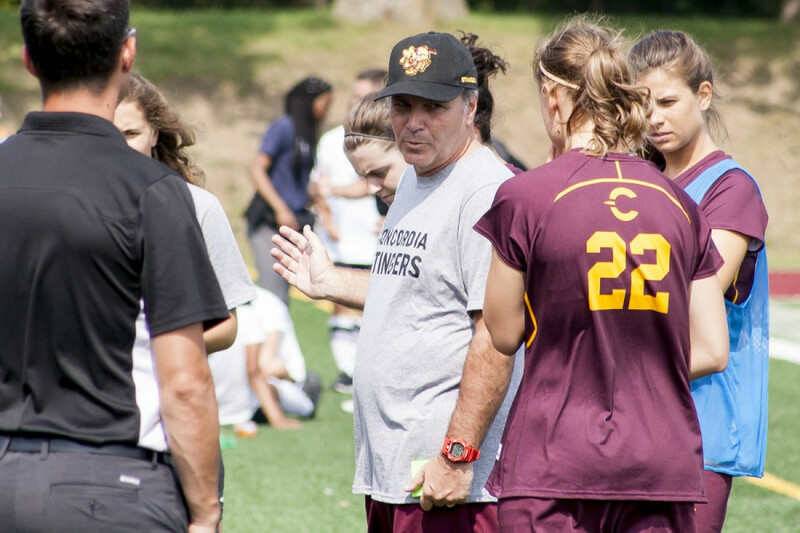 The Concordia Stingers women’s soccer team will have plenty to prove this season, and head Coach Jorge Sanchez will look to veteran players to help guide the team. There was a lot of optimism surrounding the Stingers going into the 2016 season, but the overall campaign saw no improvements for the team. 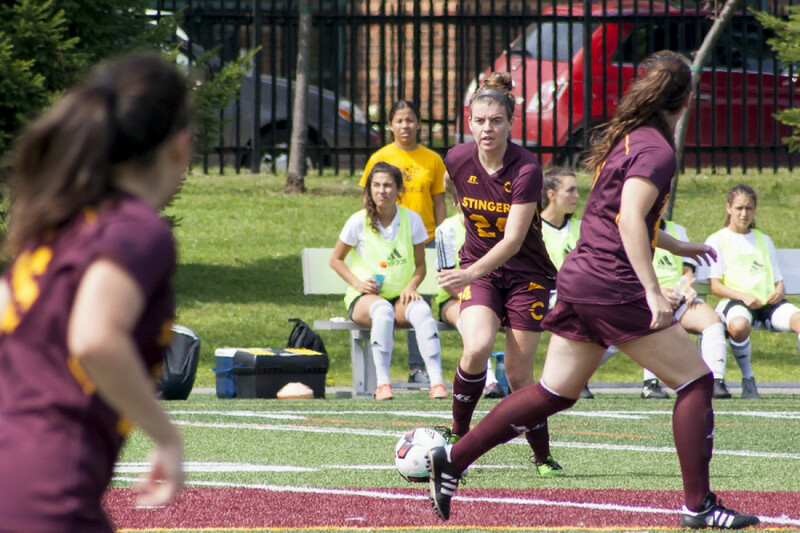 As they did in 2015, women’s soccer finished sixth in the The Réseau du Sport Étudiant du Québec final standings, winning just two of their 14 games. Sanchez has said he’s looking for his team to display a more counter-attacking style on the pitch. He said the team will be set up to defend well, get the ball quickly, and move up the field. 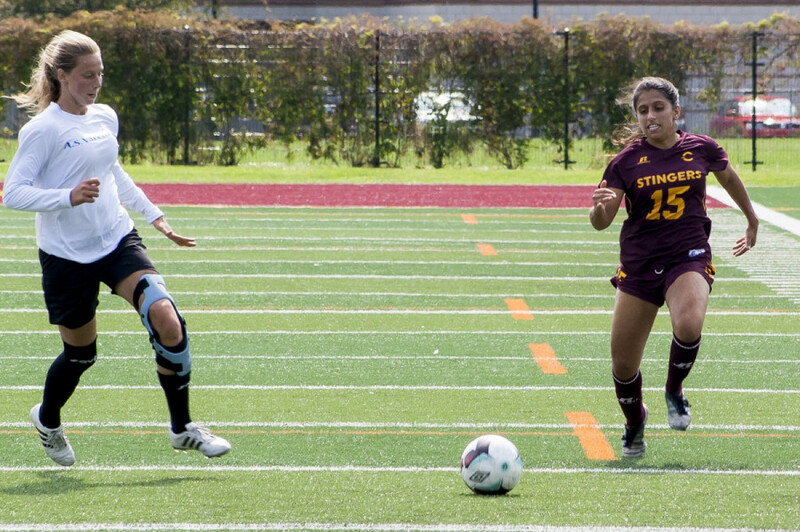 The Stingers scored only 14 goals while allowing 35 just a season ago, and they hope their new approach will lead to a more potent offense and more rigid defense. With the team working hard during preseason, Sanchez hopes to see that translate on the field. During the offseason, Sanchez said that the core of the team is relatively the same as last season’s. With only a few new recruits and veteran players returning, Sanchez highlighted the importance of leadership within the team. After former Stinger Alyssa Ruscio departed at the end of last season, the question of captaincy has hung over the offseason. Sanchez, however, admitted the role of captain will be a collective effort, rather than an individual one. Come the start of the season, Sanchez outlined three players to lead the team. Forward Mélisane Lafrenaye, and midfielders Chama Sedki and Laura Lamontagne have been tasked by their coach to lead by example. Among the new recruits, rookie defender Claudia Asselin—who was recruited by Sanchez from John Abbott College—is excited by the prospect of playing alongside players such as Lamontagne. Lamontagne and the Stingers are eager to get the season started. The former RSEQ rookie of the year took her new role in stride as she looks to guide and mentor some of the new recruits throughout the season. The Stingers will be put to the test Thursday night at Concordia Stadium as they come up against Université du Québec à Montréal Citadins.